NEW CRUISE 2010 ARRIVAL: From Kate Mack, ADORABLE "Roses Are Red" Capri Set. 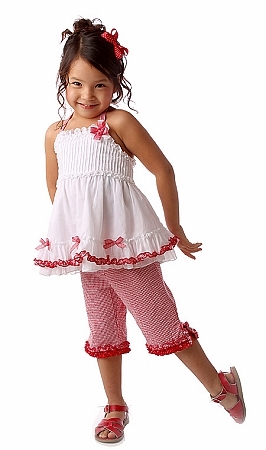 Such a sweet warm weather outfit for your little girl. 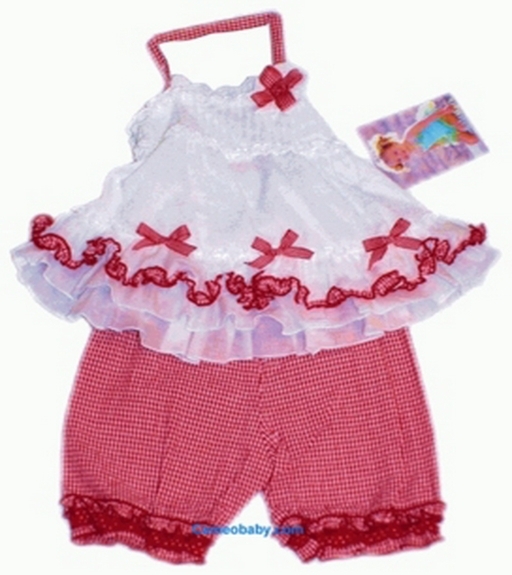 Red checked bloomer style shorts with an elastic waist and legs goes under a lined white baby doll style top. Made of cotton by Kate Mack, red checked bows are the cutest touch! Machine washable. Look at the matching styles for big sister listed below.